Returning to the nine possible approaches to materials design that Paul presented in Thursday’s session, it struck me that although principled frameworks are key to ensuring that materials are effective, this by no means diminishes the value of the other elements in the creative process. I believe it is possible within a framework to have a spontaneous, intuitive, even chaotic and ad hoc approach to materials design informed by experience and inspiration. The latter definition in particular begs the question ‘what about subconscious reasoning?’ When we walk, we put one fut in front of the other, subconsciously. But at an earlier point in our lives we had to learn to do this. When an accomplished musician plays their instrument, they do so subconsciously. But at an earlier point in their lives they had to learn to do this. When we become fluent in a second language, we articulate our thoughts without conscious attention to the formation of words. But at an earlier point in our lives we had to learn to do this. The list goes on, but the point being that the subconscious consists of learned or developed knowledge and experience. Cambridge Dictionaries Online describe the subconscious as the part of your mind that notices and remembers information when you are not actively trying to do so. So intuition then, in materials design, draws on the subconscious, and the subconscious is based on previously learned knowledge and experience. In a creative process, we draw on what we feel is right. And those feelings emerge from an underlying complex system of experiences, principles, and frameworks. Intuition needn’t be unprincipled. Just because writers aren’t consciously drawing on principles and utilising frameworks, doesn’t mean those principles and frameworks aren’t there. In my own experiences of materials design and lesson planning, I frequently decide what I want to do/use/create first. So what comes first, the materials or the principles underlying them: the rationale? My decisions are usually based on intuition about what’s going to be beneficial and enjoyable for my learners. Conscious consideration of whether the material is likely to achieve its aims comes after. Or does it? It’s not as clear cut as that. So those experienced writers who describe their creative process as intuitive rather than principled are perhaps underselling themselves, focusing only on surface thoughts, which are in fact informed by a deeper, subconscious principled framework which has developed, and is developing, through experience and knowledge. 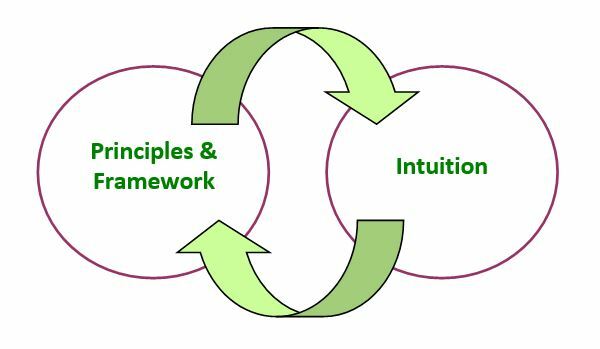 And intuition can be viewed as an emergent phenomenon of the interaction between principles, experience and inspiration. Prowse, P. (2011) How writers write: testimony from authors. In: Tomlinson, B. (ed). Materials Development in Language Teaching. Cambridge, Cambridge University Press. p158 – 172. Personally, to begin with my teaching was 95% intuition, 5% principles. This isn’t healthy as it gives rise to guilty feelings of fraudulence. Teaching English just because you happen to speak it might be OK on a desert island but doesn’t really cut it in an accredited language school. Obviously the balance can only be redressed through self-development and experience. Having said that, I also feel that these days my intuition works in tandem with my pedagogic awareness as a means of being more able to notice and respond to student’s needs rather than to simply cover my arse in the classroom. “The power to know does not come from book-study, nor from mere philosophy, but mostly from the actual practice” … nice. Thanks for the link. You make an interesting point about feelings of fraudulence – something I imagine most if not all of us suffer from at one time or another. As you gain more experience and undertake more CPD, do you feel this less? On the whole I think I do, but I have days where I feel I don’t practice in the way that I preach. In some ways the in depth self analysis that comes with CPD opens us up to that – it heightens consciousness of all the things we want to be doing but aren’t, all the time. Or can’t, all the time. 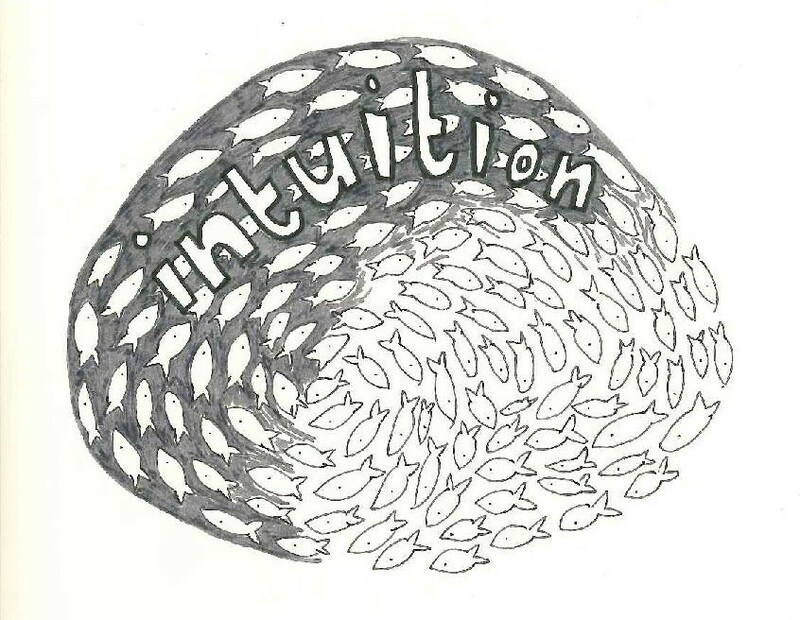 Which is maybe where intuition is really important. So practice, then? I’m going to do something slightly annoying which is not to say what I think, just quote someone else…. ‘The connections made by good teachers are held not in their methods but in their hearts—meaning heart in its ancient sense, as the place where intellect and emotion and spirit and will converge in the human self’. I hadn’t read this post when I posted another comment about the importance of unpacking ‘intuition’.